We mixed things up (quite literally) in The Fat Kid Inside kitchen with an epic cook-off between The Juicy Vlog and Making It Happen Vlog. 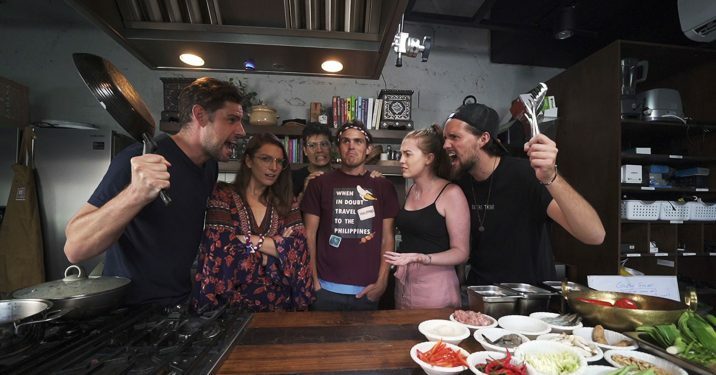 I challenged the two couples to recreate my Loaded Pancit Recipe, judged by our special guest Kyle (aka Becoming Filipino). While both teams have proven to be worthy competitors, only one can claim victory… and a new GoPro Hero 7. George and Lucy from The Juicy Vlog kicked things off and added their own spin to the recipe with some oyster mushrooms and peanuts. Mike and Nelly from Making It Happen Vlog stepped up their game with scallops. That just goes to show that you can make your own tweaks and add pretty much anything you like to your pancit. To keep things interesting, I added in a few dares each team had to accomplish while cooking their pancit. This was a challenge, after all. The two couples did an amazing job in the end, both dishes were packed with flavor. The rest was up to Kyle to choose the winning dish. 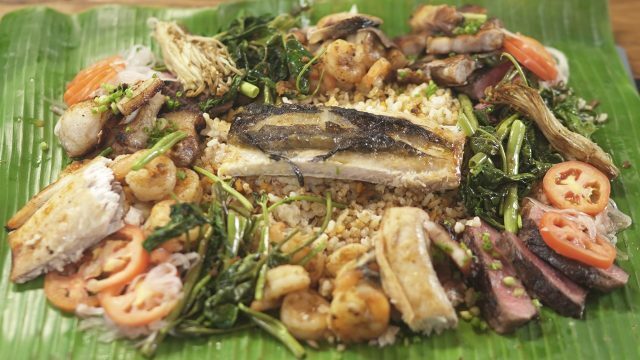 See who won the pancit cook-off below! 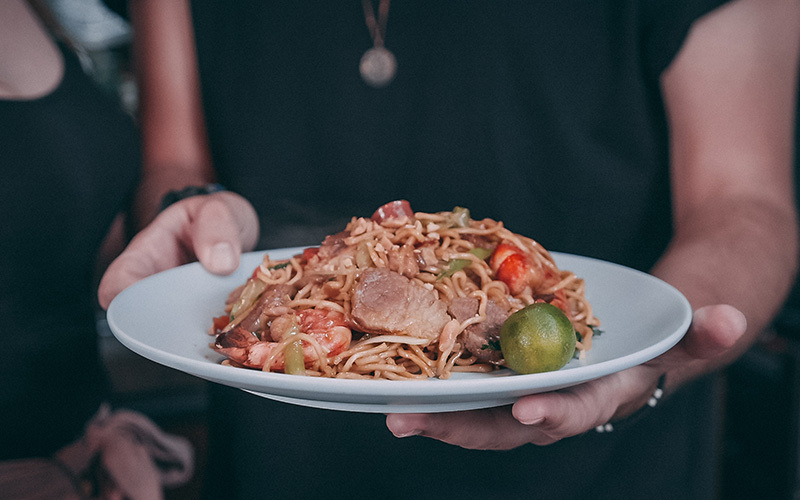 Wanna make your own pancit? Sear the pork belly in a hot pan with oil. Cook until browned. Add in the chicken gizzards along with garlic and onions. Sauté together until gizzards are cooked. Toss in the pork liver and stir to cook. Add in the sliced kikiam and chicken stock. Cover and let cook for 10 minutes. Drop in the shrimp, and then season with salt and pepper. On another pan, heat up some oil on medium heat. Drop in the tofu balls or hard tofu and toast until golden brown. 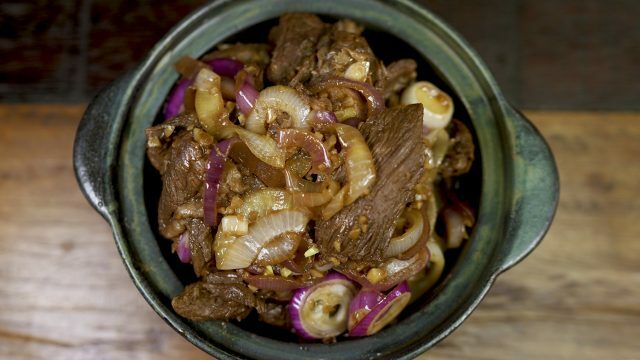 Remove the cooked meats from the pan and put onto a plate or container. Drop all the vegetables into the pan used to cook the meat. Cook for a couple minutes and then remove. Put on a plate or container. In the same pan, add chicken stock and soy sauce. Bring to a simmer. Add the noodles into the liquid. Once the noodles get a bit soft, add the cooked meats and vegetables. Stir to combine. Drizzle with sesame oil. Season accordingly. If the noodles aren’t cooked through yet, add more chicken stock. Slice the toasted tofu balls or hard tofu. Drop into the pan with the noodles. At the very end, drop in the kinchay or flat leaf parsley. Serve with sliced calamansi and enjoy! 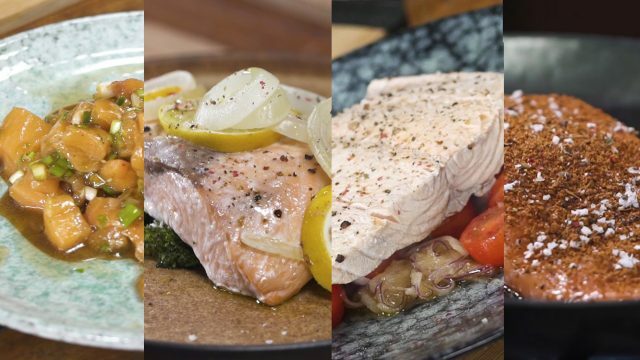 You can also try out these other cool recipes we found! Who do you guys think I should collab with next? Leave your suggestions in the comments!